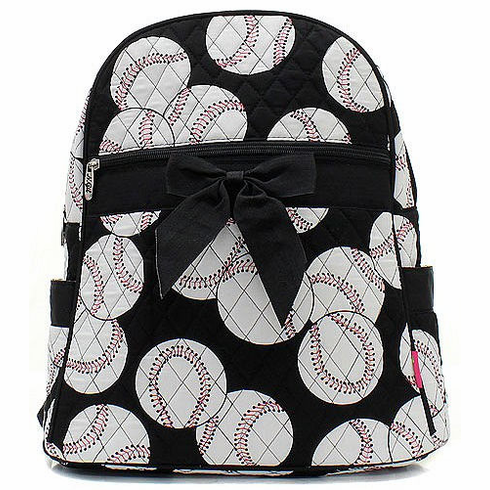 Baseballs on Black Quilted Backpack. Measures appx. 11"(L) x 13"(H) x 5"(W). One wall zipper and two pouch pockets inside.